The talented creators of the Raygun Gothic Rocketship, which is part of the Black Rock Arts Foundation Civic Arts Program, received this drawing the other day. 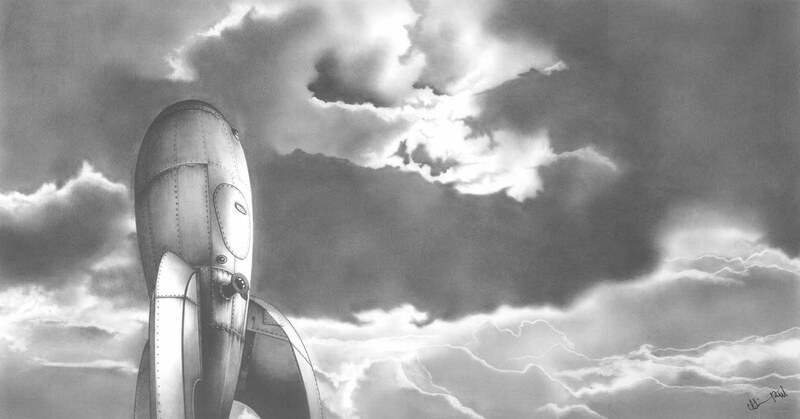 The artist had been to San Francisco and fallen in love with the Rocketship and wanted to creator to have a copy, so we are sharing this graphite rendering with you. This is what the artist had to say! I was unaware that this magnificent sculpture existed until I went to San Francisco last November. The Raygun is a fantasy come to life. My only regret is that it’s not a bit closer to where I live so I could visit it again and again. While there, I took several photos for my own enjoyment, but decided I had to draw a study in graphite (If I can’t have the real thing, then at least I can have a picture on my wall) which I wanted to share with you. I am a printer by profession, but create works on paper in pencil and occasionaly sell a piece here and there. Thank you for making a SF geek’s dream come to life. Please enjoy the drawing.